The owner of the truck has since been identified. 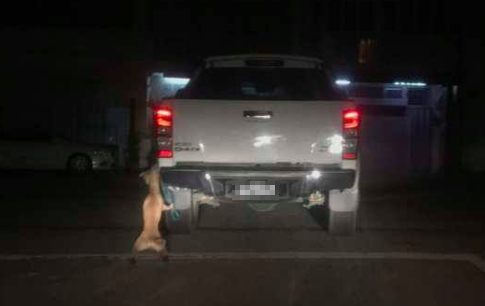 In a 42-second video uploaded onto Facebook, the pickup truck was seen moving at high speed with a dog tied to the back of the car. The incident allegedly happened in Taiping. However, the vehicle owner has not responded to accusations. 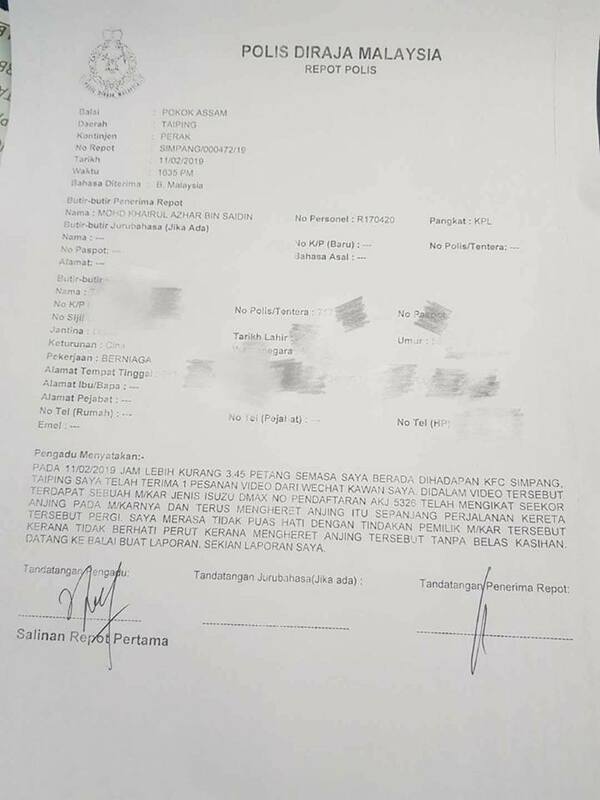 A netizen has also lodged a police report over the video. "We urge the Royal Malaysian Police (PDRM) and the Department of Veterinary Services to launch an investigation into this (video) as soon as possible," the association wrote in a Facebook post earlier today, 12 February. "Violent acts like this will happen again in the future if no action is taken against this driver," the association added. "The most memorable thing was that he was very quick to save my three-year-old daughter."